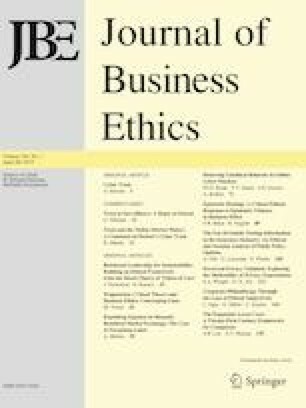 Echoes of Corporate Social Responsibility: How and When Does CSR Influence Employees’ Promotive and Prohibitive Voices? In this study, we examine whether, how, and when corporate social responsibility (CSR) increases promotive and prohibitive voices in accordance with ethical climate theory and multi-experience model of ethical climate. Data from 382 employees at two time points are examined. Results show that CSR is positively related to promotive and prohibitive voices. Other-focused and self-focused climates mediate the relationship between CSR and the two types of voice (promotive and prohibitive voice). Moreover, humble leadership moderates the positive relationship between CSR and other-focused climate. Such leadership moderates the negative relationship between CSR and self-focused climate. Humble leadership also moderates the indirect effect between CSR and the two kinds of voice through other-focused and self-focused climates. The findings of this study provide important insights into how and when CSR influences employee voice. Good advice is harsh to the ear but beneficial to action. We appreciate the supports from the National Natural Science Foundation of China (Grant No.71672139) and the Humanities and Social Science Talent Plan of Shaanxi Province. All authors declare that they no conflict of interest. We followed the existing literature (Rupp et al. 2013; Thornton and Rupp 2016; Farooq et al. 2017; Ng et al. 2018) to manipulate CSR in terms of community-targeted CSR, environment-targeted CSR, and internal CSR in the scenarios. In a high CSR condition, the participants were provided specific information about their company—a fictitious company named A. For community-targeted CSR, the corresponding company engaged with the local community by donating a large number of their profits (e.g. 20%) into community programs, and their company always topped the philanthropy ranking list. In addition, this company fully supported a wide range of employee volunteering initiatives. For instance, this company supported 99% of such activities last year. For environment-targeted CSR, the corresponding company actively invested considerable funds to maintain low carbon emissions and protect environmental practices every year. This company not only complied with all applicable environmental regulations but also went beyond minimum regulation standards to ensure that their environmental practices lead the industry. For internal CSR, the corresponding company often actively adopted practices that improved employees’ well-being and developed their skills/careers. In a low CSR condition, the participants were told that their company engaged with the local community by donating a small amount of their profits (e.g. 0.01%) into community programs, and their company always ranked last in the philanthropy ranking list. In addition, this company selectively supported certain employee volunteering initiatives. For instance, this company supported 10% of such activities last year. In the environment-targeted CSR condition, the participants learned that their company invested a small amount of funds to maintain low carbon emissions and protect environmental practices every year. This company was also in compliance with certain environmental regulations. In the internal CSR condition, the participants were informed that their company seldom adopted practices that improved employees’ well-being and developed their skills/careers. We manipulated humble leadership on the basis of the predominate conceptualizations of the construct within the existing literature (Owens et al. 2013; Ou et al. 2014, 2018; Owens and Hekman 2016; Rego et al. 2017a, b). In the high humble leader condition, the participants were informed about the following characteristics of their direct leader, Yi Zhang. He was a leader who believed that something in the world is greater than himself. He was fully aware of his personal strengths and limitations. He often appreciated and complimented others on their strengths and unique contributions. He actively sought feedback and ideas from his employees frequently. He devoted a great deal of time to improve the society. However, he was not interested in obtaining fame for himself and kept a low profile. In the low humble leader condition, the participants were told that their direct leader, Yi Zhang, was a leader who believed that nothing in the world is greater than himself. He was unaware of his personal strengths and limitations. He rarely appreciated and complimented others on their strengths and unique contributions. He seldom sought feedback and ideas from his employees. He devoted little time to improve the society. Furthermore, he was interested in obtaining fame for himself and kept a high profile.